day 2, but I'm also trying to get my 10000 steps in. I'm having a hard time skipping my walks to do the cross training and the rest days???? 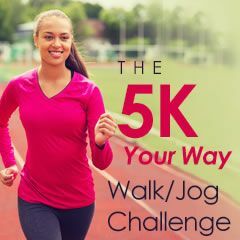 Started my 1 day 5k walk/jog. I love walking but did little jogging first time today n liked it. As soon as I finish the training for the walk jog challenge I am going to be doing a 5k in April I hope to do the color me rad here in Newport News Virginia.